This week the Little Bumbles had an outing into the local community where we searched for seasonal items such as conkers, changing leaves and sticks. 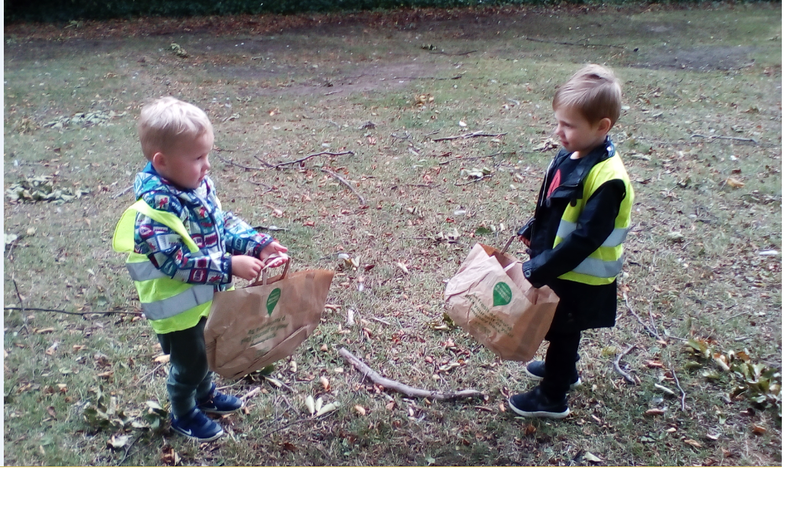 The children excitedly gathered the natural objects in their bags bringing them back to nursery ready for autumn discovery and crafts. We have developed our understanding of seasonal changes, introduced new vocabulary and found lots of uses for our objects through leaf printing and woodland soup!